Diabetes is known to many as a lifestyle disease, something that can be prevented and that mostly older people get. However, there have been increasing cases of Type 1 Diabetes in children and it has nothing to do with diet and exercise. 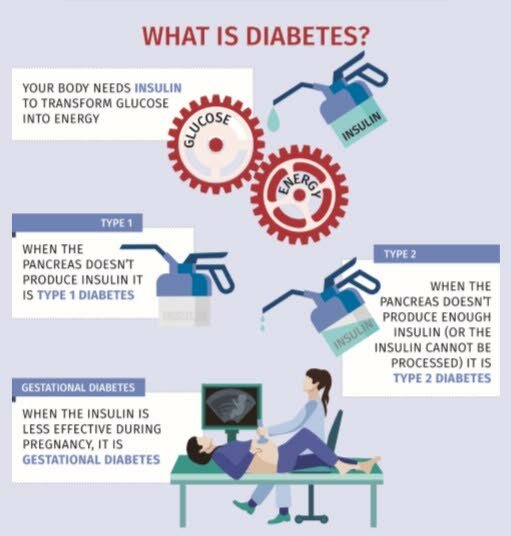 President of the Diabetes Association of TT (DATT), Andrew Dhanoo, explained that Type 1 was the rarest of the forms of diabetes, affecting children as young as two or three years old. The body’s immune system attacks the cells of the pancreas so that they can not produce insulin, which regulates blood sugar levels, so they have to get daily shots of insulin for the rest their life. He said Type 1 was not preventable and scientists were still unclear about the cause. However, various studies pointed to viruses, faulty genes, environmental factors and/or risk due to diabetes during pregnancy. “There are some children in Trinidad as young as 18 months old who have developed Type 1 diabetes. There are a few families we know of in TT with multiple children with Type 1 diabetes, one of which with four siblings all with the disease. Registered dietician Janelle Zakour said a 2010 study entitled The Diabetes Epidemic in TT stated that 450 children had Type 1 diabetes and, as she had been working with diabetic children for the past two years, she was certain the numbers had increased since then. She added that the number of children in TT being diagnosed with Type 2 diabetes, traced to a sedentary lifestyle and poor diet, was growing at an alarming rate. Dhanoo agreed noting that PAHO ranked TT in the top five countries for diabetes in the Western Hemisphere. He said the national diabetes prevalence rate (all three types) is approximately 13 to 14 per cent which means close to 200,000 persons were living with diabetes in TT. In addition, he said, it was suggested that five to six per cent of all diabetes cases may be classified as Type 1 diabetes. “For children living with diabetes, it is an immense struggle. “These children not only have to deal with studies and the complexity of growing up, but they now must inject themselves everyday with insulin, prick their finger several times a day to monitor their blood sugar, count the number of carbohydrates in every meal and refuse the pleasures of sweets when all of their friends around them can have it. 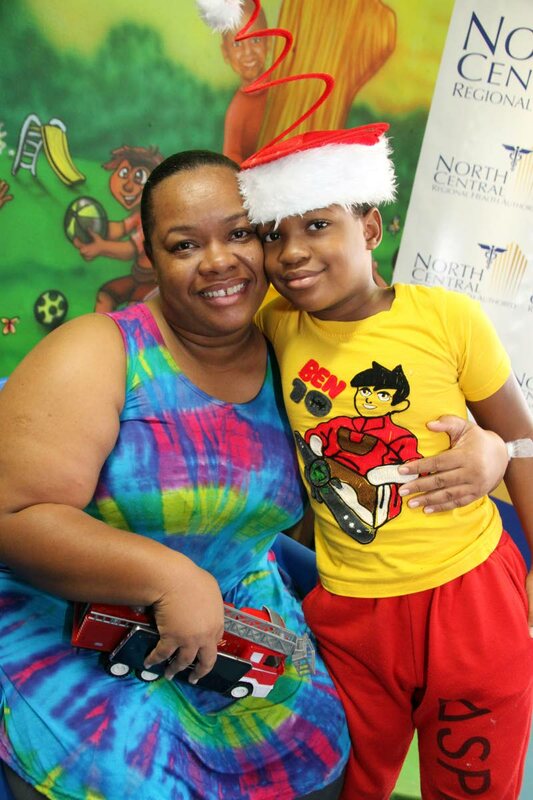 Nurse Nyla Syne-Alexander teaches a six-year-old boy how to administer his own insulin. PHOTO COURTESY DATT. Despite these difficulties, Zakour was adamant that children with Type 1 can live relatively normal lives. “All children, diabetic or otherwise, need a balanced diet, lots of movement, sufficient sleep and limited stress in order to truly be healthy. Zakour told Sunday Newsday there was no single universal diet for Type 1 diabetes as it involved each person’s lifestyle and response to certain foods. However, for all persons, foods rich in vitamins and minerals, healthy fats and lean proteins, and nutrient dense carbohydrates were important. “My biggest advice for self-regulation in older children and teenagers is to keep a journal where they can log their blood glucose readings, the foods they ate that day as well as the portions, how much exercise was done, what their moods were like etc. This helps not only doctors and dietitians when it comes to reviewing their care plan, but it is a teaching tool for the individual themselves as they can gauge how to better manage their blood glucose and keep within the recommended ranges,” she said. She explained that carbohydrates (simple sugars, starches and fibre) turned into sugar in the digestive tract, absorbed into the bloodstream, raised glucose levels. Therefore, with diabetes, the type, quantity, and timing of carbohydrate intake was important as some carbohydrates act faster on blood sugar than others. It was also important that diabetic people keep fast-absorbing carbohydrates on hand at all times, usually in the form of a juice box or glucose tablets, in the event of hypoglycaemia. Proteins and fats, she said, also had to be taken into consideration as proteins were important for maintaining muscle and wound repair, and healthy fats were necessary for optimal brain and heart functioning. She said although proteins and fats did not directly affect blood sugar, limiting processed and fatty meats as well as excessive fatty foods was recommended as too much could have harmful health effects including the development of heart disease. According to Zakour, knowing when to eat was just as important as what to eat. She suggested three smaller main meals as well as three healthy snacks – including fruits, vegetables, and nuts – throughout the day was a good way to avoid blood sugar highs and lows. Finally, she said exercise and lots of movement lowered blood sugar levels a child’s blood sugar should be measured before and after exercise to know what and how much to eat to maintain a healthy blood sugar level. She added that a registered dietitian could help create meal plans with the inclusion of favourite foods in their correct portions, and how to manage meal timing and medications. Dhanoo agreed that it was necessary for parents to become educated about diabetes management, insulin administration and meal preparation. As such, DATT intended to host several sessions for parents of children living with diabetes during this year. However, he said, what was essential and often overlooked was emotional support for the parents. He said taking care of a child with diabetes could put a lot of stress on and cause problems within the family. He said many of the children they interacted with came from single parent homes with the break up of the family occurring after the child’s diagnosis so his organisation hoped to help. Reply to "A child’s health – Living with Type 1 diabetes"